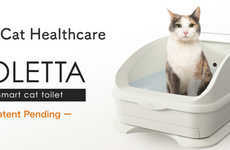 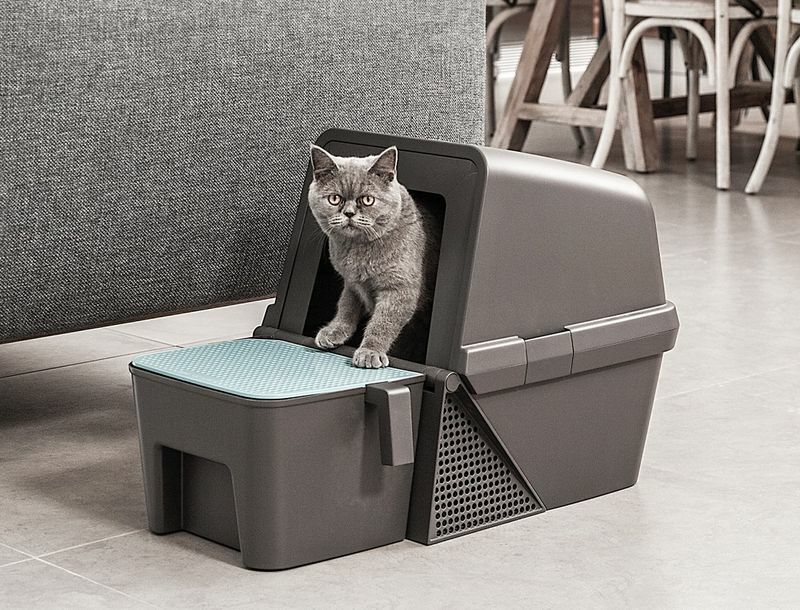 The 'Fresh Flip' litter box is a self-cleaning solution for cat owners that will transform the user experience by eliminating the need to manually scoop out waste for a faster, more hygienic experience. 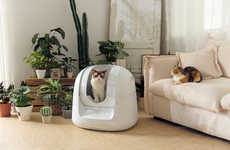 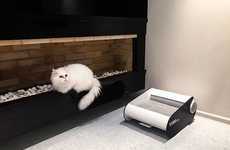 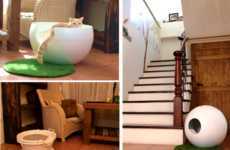 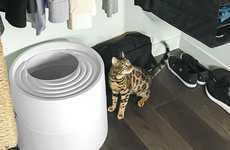 The unit works by incorporating a boxy aesthetic that provides cats a covered area to do their business, while the exterior step will catch litter as they walk out. 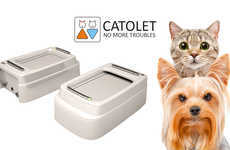 When it's time to be cleaned, the entire unit can be flipped onto the front step to catch waste and filter out remaining litter; this can then be easily emptied with the unsoiled litter being placed back into the unit. 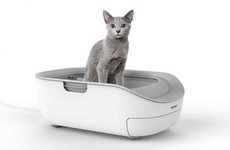 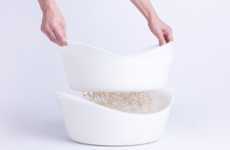 The 'Fresh Flip' litter box is the design work of Daniel Pearlman for Fresh Flip and encourages continuous cleaning thanks to the streamlined user experience.